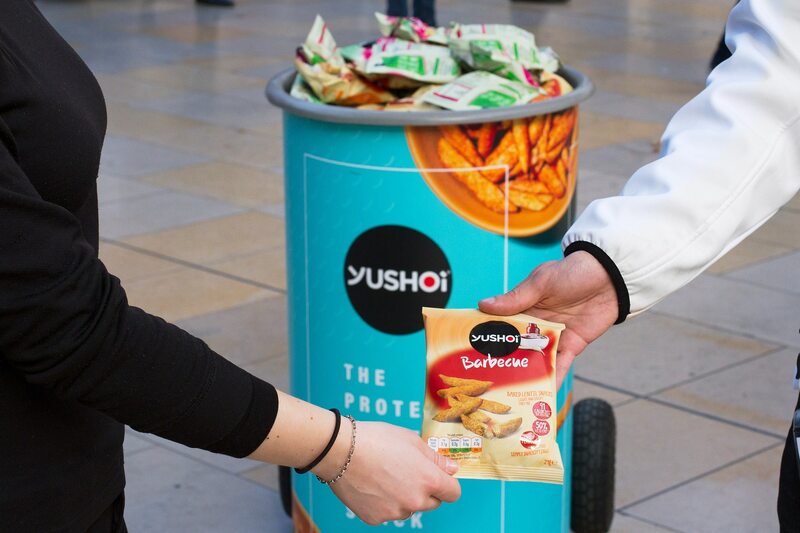 Bursting with flavour, Yushoi is an oven baked snack, perfect when you are looking for an alternative to crisps. 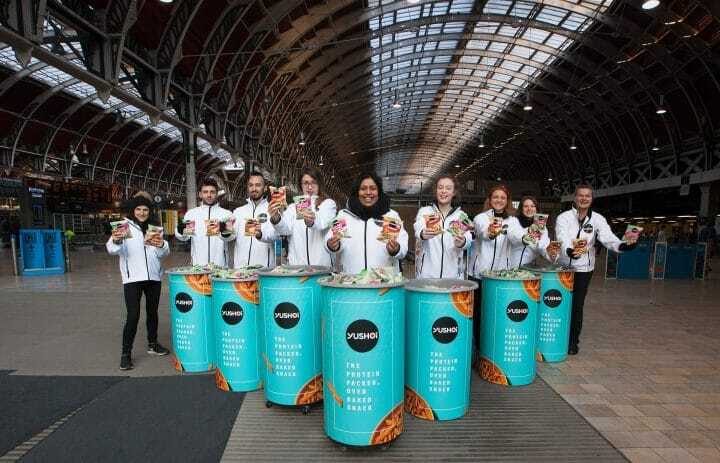 They come in a range of flavours with either a pea or lentil base. Yushoi’s unique baked pea snacks have multiple benefits – high in fibre, a source of protein and 88 calories or less per serving, making them the perfect answer to snacking on the go. 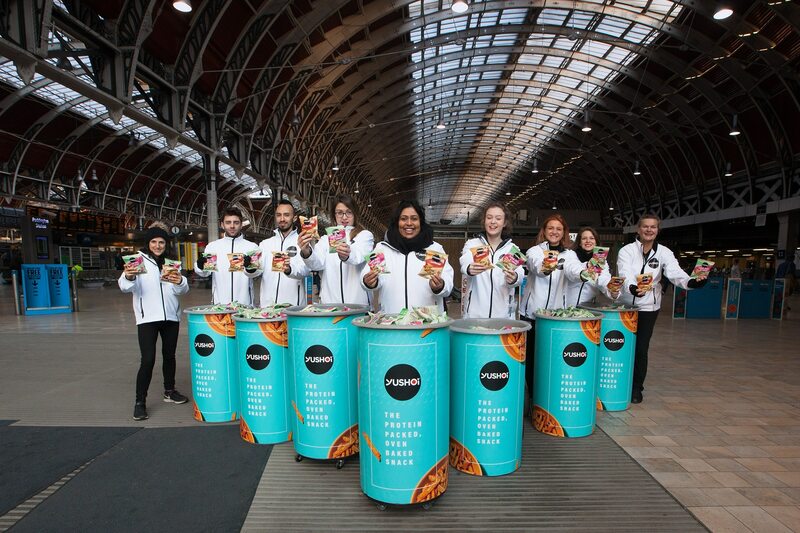 To enhance their OOH media campaign, the brand was looking to hand out 200,000 samples to commuters across London, Manchester and Leeds to raise overall brand awareness and drive sales through trial. 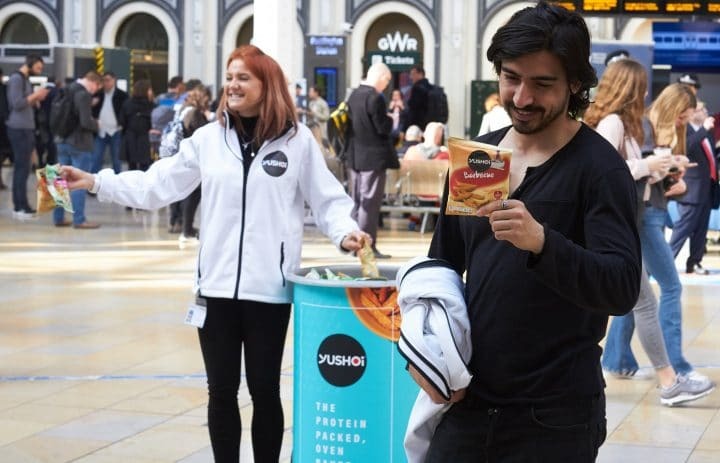 We identified key commuter hubs across the three cities and recruited a team of highly-skilled brand ambassadors who resonated with the target market of adult snackers. 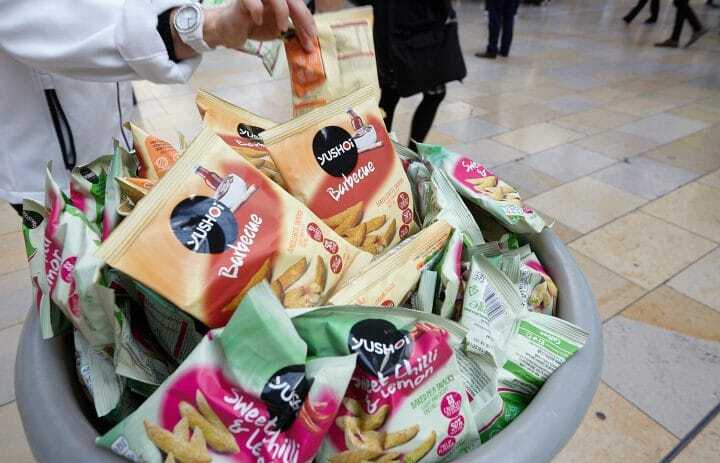 Over five days, our teams were stationed at six different stations, distributing full-size product samples of two flavour varieties from fully branded sampling bins. As well as handing out the samples, the teams were on hand to answer questions and educate commuters about this new, exciting brand. 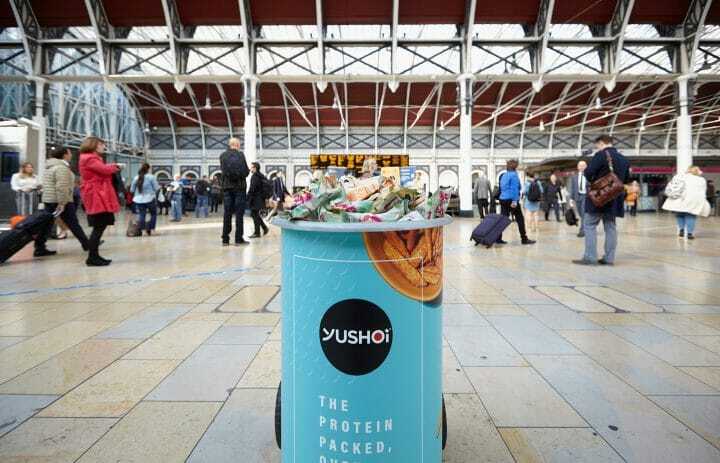 The Yushoi sampling campaign took place at Liverpool Street station, Victoria, Paddington, King’s Cross, Manchester and Leeds station. 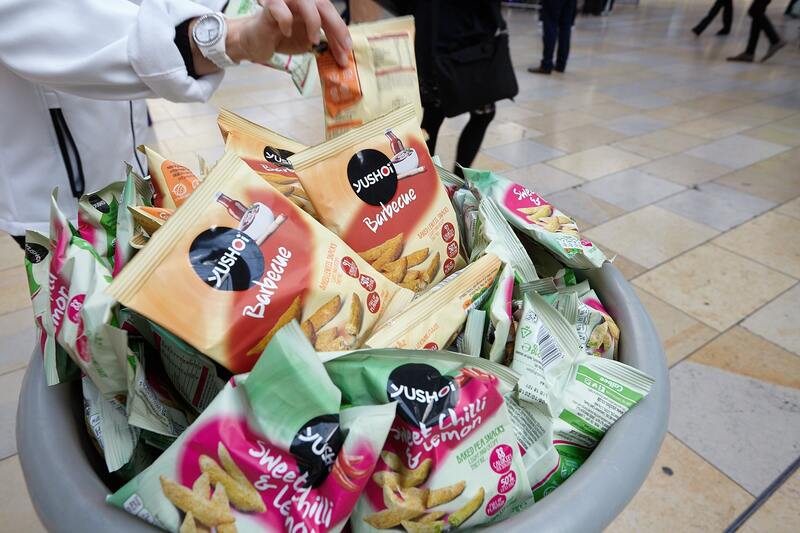 The snacks proved so popular with commuters that the objective of distributing 200,000 samples were exceeded by an additional 20,000 packs!